Back in 2015, the Marshmallow software update finally allowed Android smartphones to store and run apps directly from a memory card. 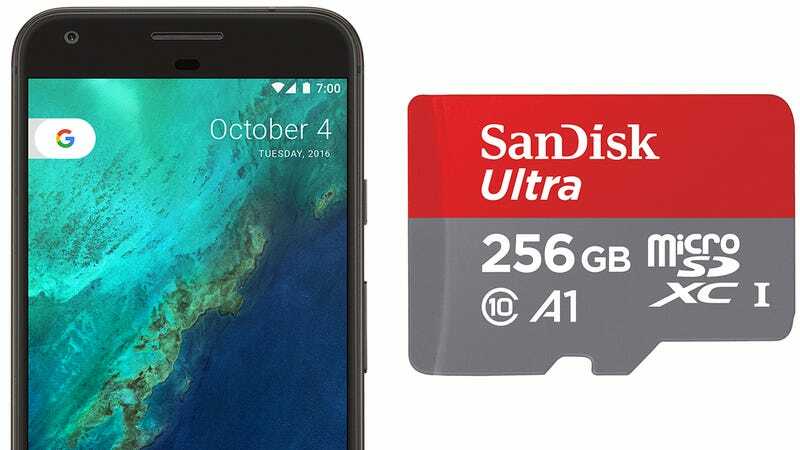 And with SanDisk’s new Ultra microSDXC UHS-I card inside your device, apps that load from a memory card will feel just as snappy as those stored right on the phone. The SanDisk Ultra microSDXC UHS-I is the first microSD card that meets the SD Association’s Application Performance Class 1 specification which was finalized just a few months ago in November of 2016. In layman’s terms, the A1 requirement specifies minimal read and write data speeds for memory cards to ensure they can open and run an app smoothly, while still providing simultaneous speedy access to media files like photos and videos stored on the same card. Being able to easily expand your smartphone’s storage capacity is just one of many reasons to choose an Android device over an iPhone, and with the A1 specification in place, it means there finally won’t be any performance compromises when it comes to offloading hefty apps to a memory card. The only downside? You’ll be dropping $200 when this 256GB card becomes available this month, which is close to the cost of some subsidized smartphones.